German Social Democratic leader (SPD) Martin Schulz resigned on Tuesday (13 February), hoping to end turbulence that has rocked the centre-left party since it agreed a coalition deal with Chancellor Angela Merkel’s conservatives. 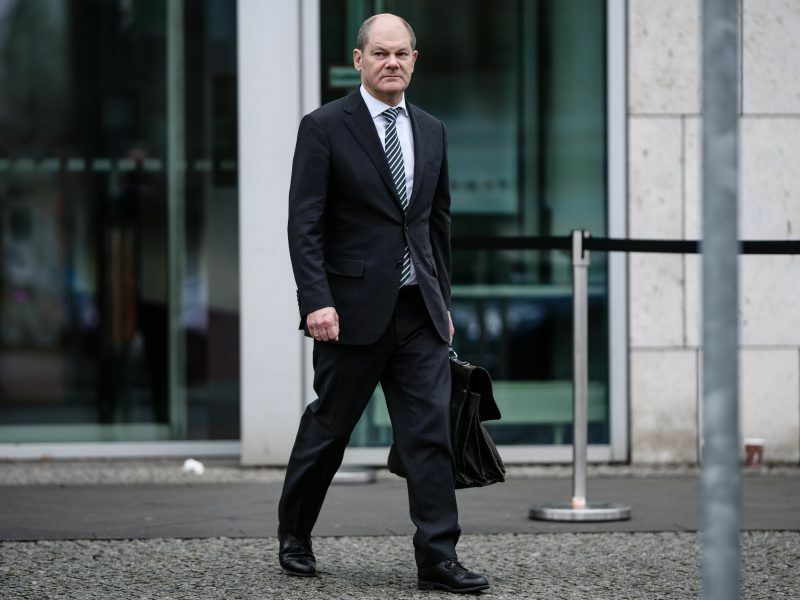 Schulz’s deputy, Olaf Scholz – the Hamburg mayor who is slated to become finance minister in the new government – , said he would become caretaker SPD chairman, and the party confirmed that it had recommended parliamentary floor leader Andrea Nahles as Schulz’s longer-term successor. 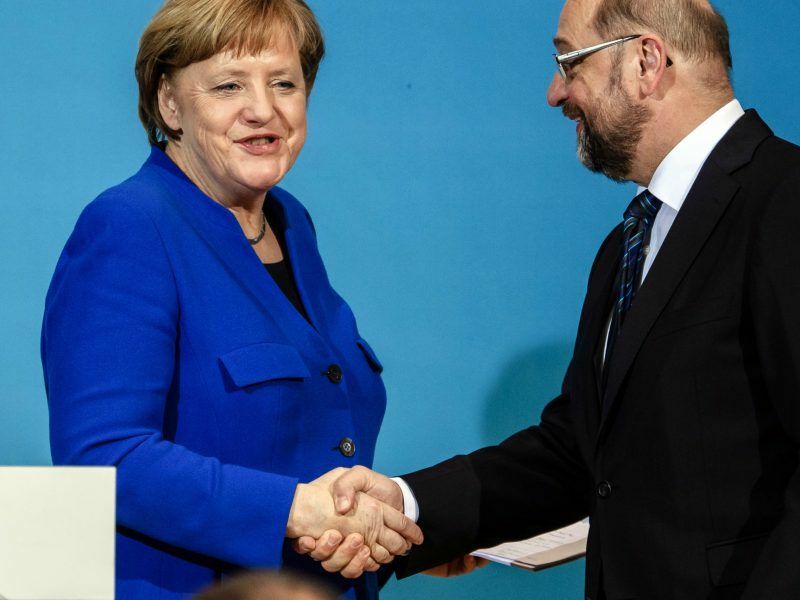 Amid deep rank-and-file divisions over the coalition deal and the distribution of ministerial posts, and facing a slump in opinion polls, SPD leaders are trying to convince 464,000 party members to endorse the accord with Merkel in a ballot on which her fourth term depends. With many SPD members harbouring misgivings about sharing power with Merkel again, the result of the vote, due on 4 March, is wide open. If members reject the coalition pact, a new German election looks the most likely option. Schulz said an extraordinary party congress would be held in the western city of Wiesbaden on 22 April to pick a new leader. Nahles, a plain-speaking 47-year-old former labour minister with a left-wing slant and strong oratory skills, is the frontrunner and would become the first female leader in the party’s 154-year history. “With his decision to resign today, (Schulz) paved the way for a new beginning,” Nahles said. 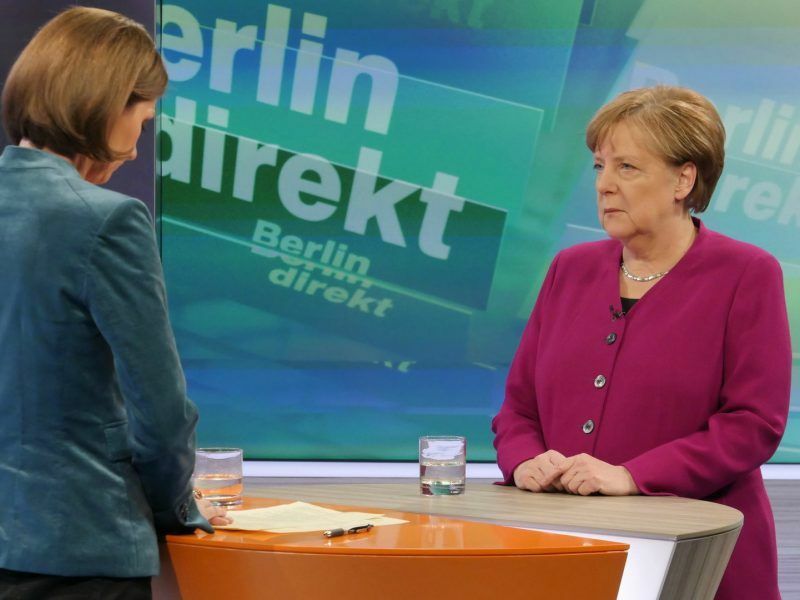 Angela Merkel on Sunday defended “painful” concessions she has made to the Social Democrats (SPD) to win a fourth term as German chancellor and said criticism among her conservatives was not a sign her authority was waning. The former European Parliament president said last week he would quit to allow the party to regroup and he recommended Nahles as leader. But expectations that she would take over with immediate effect on a caretaker basis until a party conference triggered resistance as it breached party procedure. 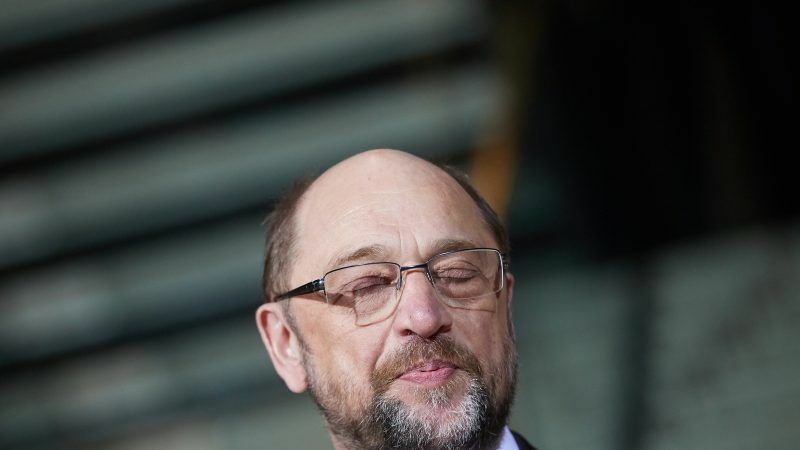 On Tuesday, Schulz said he hoped his decision to resign would result in party members focusing on the coalition treaty rather than personnel issues. He said he hoped the party could “regain its former strength” under Nahles’ leadership and as part of the German government – if members agreed to that in the upcoming ballot. “If I can contribute to that by resigning, it will have been worth it,” he said outside the SPD headquarters. Two sources in the SPD leadership said the party decided not to make Nahles a caretaker leader because it did not want to pre-empt a vote at the party congress and so possibly influence the members’ vote on a coalition with Merkel. German Chancellor Angela Merkel’s conservatives and the Social Democrats agreed “in principle” on Wednesday (7 February) on a coalition deal, sources involved in the talks said, taking Europe’s economic powerhouse a step closer to a new government. Kevin Kuehnert, who leads the SPD’s youth wing and is campaigning for members to vote against another tie-up with Merkel, welcomed the decision as he said it would enable the party to focus completely on the members’ coalition ballot. Nahles said she would start campaigning at the weekend for members to vote “yes” to a coalition with Merkel, who has led the European Union’s most populous country and economic powerhouse since 2005. In a cartoon on Tuesday, the Süddeutsche Zeitung daily showed Nahles with a whip riding an SPD snail. Schulz, 62, ditched plans to take the post of foreign minister after fierce criticism from some former allies, not least because he had pledged not to serve in a cabinet with Merkel. That leaves open who from within the SPD may take up that post. Media have speculated that one option might be Katarina Barley, a former SPD general secretary and family minister, or SPD veteran Thomas Oppermann. Unemotional, pragmatic and very, very self-confident: Hamburg’s still-mayor could become a formative figure of the German grand coalition. EURACTIV Germany’s media partner WirtschaftsWoche reports. Germany has been without a formal government since the 24 September election and investors are worried about a delay in policymaking, both at home and in the EU. The turmoil in the SPD can only distract from criticism of Merkel from within her own party after she handed the foreign and finance ministries to the SPD to secure the coalition deal. An INSA poll published on Tuesday showed the SPD at a record low of 16.5%, only 1.5 percentage points ahead of the far-right Alternative for Germany (AfD). Merkel’s conservative bloc was also down 1 point at 29.5%. Under Schulz, a former European Parliament president who became SPD leader just over a year ago, the party garnered 20.5% in September’s election, its worst result in the post-war era. The SPD originally wanted to reinvent itself in opposition but reconsidered when Merkel’s attempt to form an alliance with two smaller parties failed late last year.